Timothy Joseph “Joe” Boyd, joined Reynolds, Horne & Survant, as an associate attorney in December of 2005. Joe is originally from Macon, Georgia, where he continues to reside with his sons, Josh and Hayes. Joe is the son of Bill and Marvalene Boyd. Bill was a columnist for the Macon Telegraph and is famous around Macon for his humorous depictions of people from the middle Georgia area. Marvalene recently retired after 25 years in the Bibb County school system. Joe graduated in 1994 from Mercer University after a two year service in the United States Marine Corp where he achieved the rank of Lance Corporal. He also received a Masters in Education from Georgia College & State University. Joe taught school for a total of seven years in Macon County and Houston County, respectively. Joe also coached football and baseball in both counties and led the Macon County Varsity Baseball team to their first region championship in 25 years. For this accomplishment, Joe won the Coach of the Year award for that region as well as the All Middle Georgia Coach of the Year Award. Joe attended Mercer University’s Walter F. George School of Law in 2001 and graduated in May of 2004 with a Juris Doctorate Degree. Joe was admitted to practice in October of 2004. During his spare time he enjoys playing softball, golf, and coaching his sons. 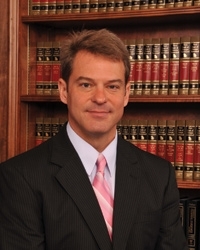 Joe’s primary areas of practice are Workers Compensation as well as Civil Litigation involving Personal Injury, Wrongful Death and tractor-trailer litigation. In his first trial, Joe had the distinction of obtaining a 1.1 million dollar verdict from a Fulton County jury for his clients. In 2013, Joe obtained a $4.5 million Workers’ Compensation settlement, which may be the largest Workers’ Compensation settlement in Georgia history. The State Board of Workers’ Compensation indicated it did not keep up with such statistics, but that this resolution was the largest settlement in recent history.